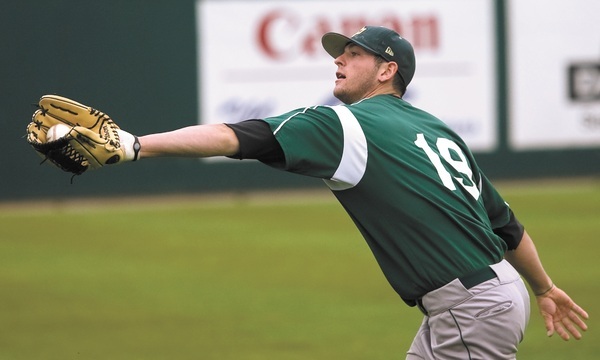 Cal Poly outfielder Mitch Haniger will come into his first season as a sleeper-type prospect. However, don’t be fooled: He can flat out play. 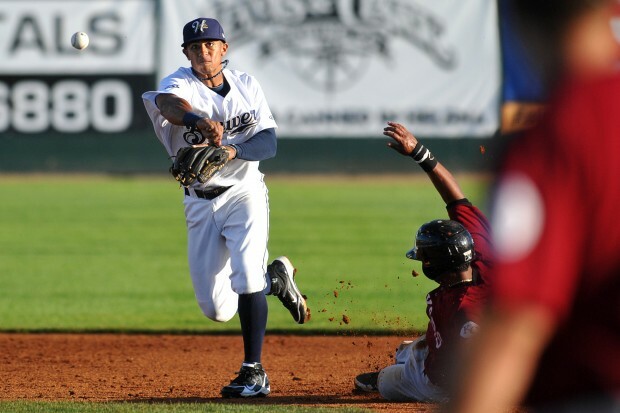 On Monday night, the Milwaukee Brewers took to the first round and supplemental first round of Major League Baseball’s 2012 first-year player draft armed with three selections, where they paired a highly touted prep positional player with two already established collegiate outfielders. Then, on Tuesday, the Brewers switched their attention to rounds to the later rounds of the Draft, where general manager Doug Melvin and amateur scouting director Bruce Seid tried to work their magic by picking up a number of sleeper prospects. Rounds 16-40 of the Draft are set to take place Wednesday. 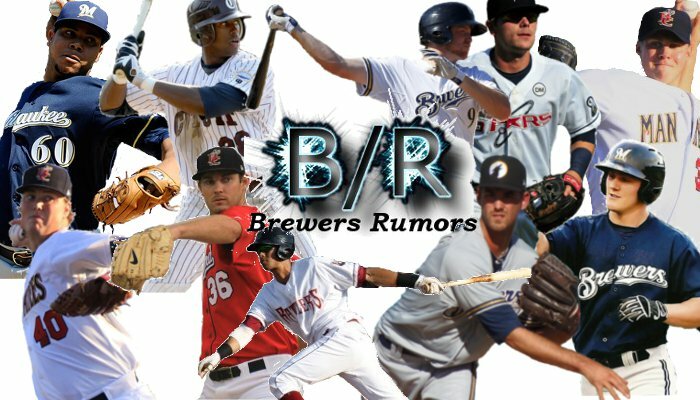 What players did the Brewers draft and what capabilities do they bring to the table? Let’s find out by scouting every player from rounds one through 15. *We will continue to update picks as they are made available. 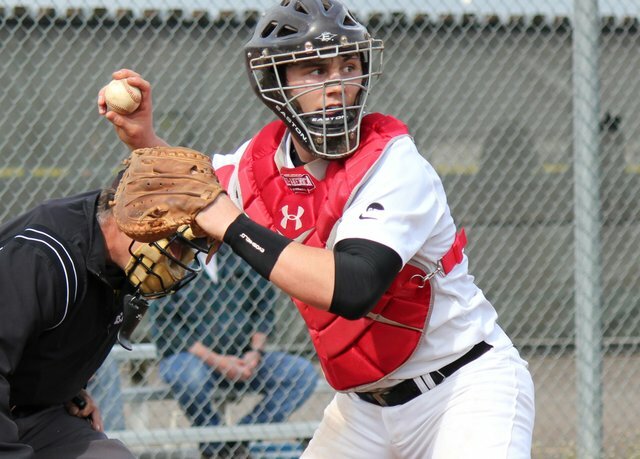 Overview: A physical specimen by any standards, Clint Coulter came into the first round of the Draft as one of the best pure high school hitters in the country. The stocky yet surprisingly agile 6’3″, 210-pounder from Washington has tremendous raw power that he’s able to tap into on a consistent basis. He has a nice, short swing with little wasted movement that draws a lot of power. Scouts like what they see in Coulter from behind the plate. Based off what I’ve seen, he has some quick feet and good reaction time as a catcher and has a nearly plus-average arm to compliment it. Coulter told reporters at the Draft how he compares his game to that of Atlanta Braves catcher Brian McCann. I see absolutely no reason to disagree with that belief. 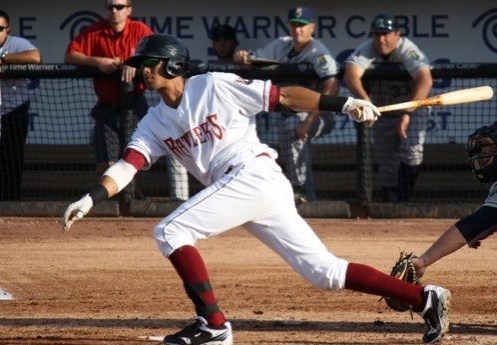 Overview: A strong, athletic outfielder whose bat is probably closer to Major League-ready than just about any other positional player in this class, Victor Roache should be considered a steal for the Brewers at No. 28 overall. 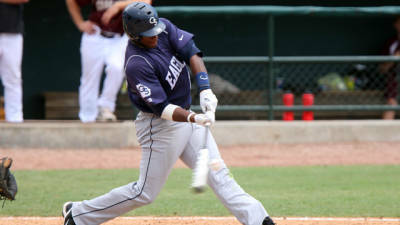 The Georgia Southern slugger has plus power, great plate discipline and versatility as a defender in the outfield. As a sophomore for the Eagles, Roache belted 30 home runs to lead the nation and posted an absurd .452 ISO in 281 plate appearances. Though he’s missed a large chunk of this season, he’s still established himself as one of the top sluggers in this year’s class. Defensively, Roache has versatility. Though he doesn’t have barn-burning speed, I believe he does have the range, instincts and arm to play any outfield position. Overview: A stocky, lean and athletic outfielder who’s been on scouts’ radar since his freshman year at Cal Poly, Haniger staked his claim as one of the more intriuging prospects in this year’s class after putting up a .346/.438/.626 slash line in 259 plate appearances this season. However, his impressive statistical yield is by no means why the Brewers drafted him early on. Haniger has a very good approach to hitting and is the complete package at the plate. He has plus-average bat speed that generates consistent line drive power to all fields. Moreover, Haniger has pretty good plate discipline and recognizes pitches well. Speed doesn’t really play much into his approach at the plate and it doesn’t in the field, either. He does have a strong arm that could fit well in center field or right field depending on the need. Overview: The Brewers got an up-close-and-personal look at Taylor during the 2011 Area Code Baseball games, where he suited up for Milwaukee and put on an impressive showing in all facets of his game. The Cal Poly commit proved that he’s a very capable hitter with some pop to his bat and that he has a serious need for speed. Easily his best tool, Taylor uses his agile abilities both on the bases and in the field. He gets out of the box extremely quick to try and extend hits and probably has the potential to steal around 30-35 bases a year in the bigs. He covers a lot of ground in center field, as well, with many scouts seeing him as a plus-defender at that position. Good value pick here. Overview: The first pitcher taken by the Brewers comes as a prepster from the Nevada ranks, though clearly not as highly touted as many other high school righties in this year’s class. There is, however, some things to like about what he brings to the table. While he doesn’t have the ideal length you look for from a young high school starter right now, there probably is some room to growth, which definitely works to Quintana’s benefit. Using a very smooth, effortless motion, he’s able to run his fastball into the low 90s, topping out at 94 on rare occasion. The best part about his heater is that it has very good movement and should develop into a strikeout pitch in the future. His second-best offering is his curveball that has some nice, hard-breaking 11-5 dive to it. 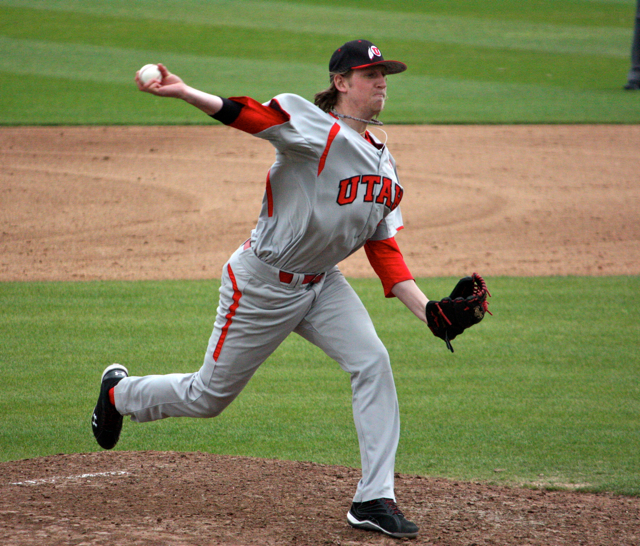 Overview: A three-year pitcher for the Utes, Wagner was strictly used relief situations and performed modestly throughout. In 99 career innings of work out of the bullpen, the Las Vegas, Nevada native posted a 2.72 ERA while striking out just under a batter per inning. The only trouble was, he struggled to command his pitches. And those struggles manifested themselves throughout his junior season. 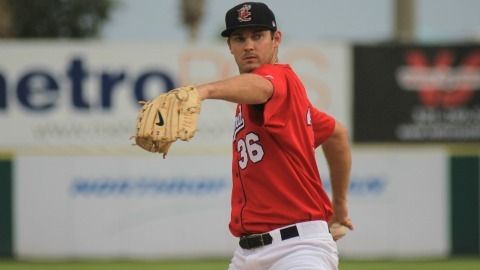 The prototype right-hander walked nearly six batter per nine innings pitched and conceded over ten hits in as many innings. I’m not too sure what Melvin likes about Wagner having drafted him with a relatively high pick. No matter the reason, Wagner will need to work on refining his pitches in the minors from the get-go if he’s destined for the bigs. 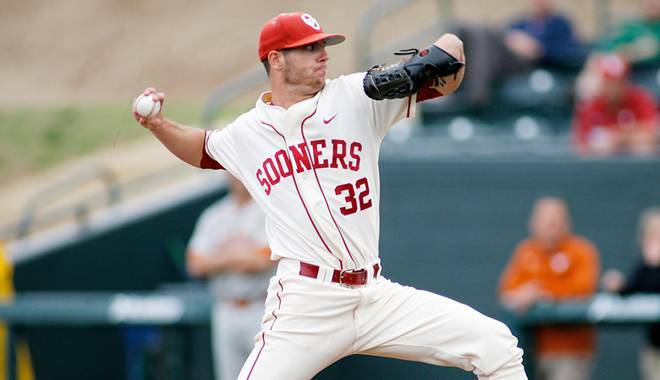 Overview: One of Oklahoma’s primary relievers as well as a fill-in starter this season, there’s really nothing too fancy about what Magnifico brings to the table. 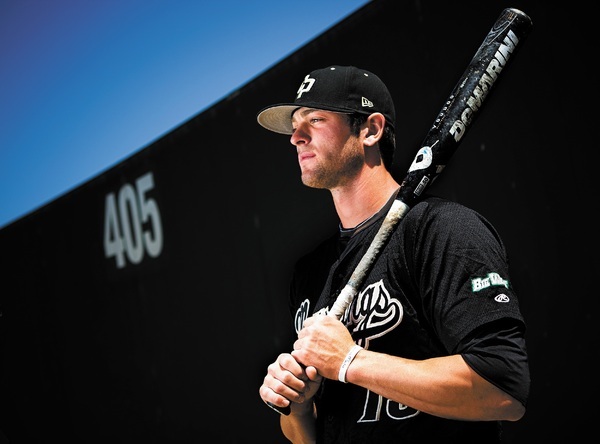 The 6’1″, 195-pound Texas native has a Tyler Thornburg-like build to him and a fastball that rivals that of Thornburg’s. Magnifico can run his four-seamer up to triple digits when needed but the pitch is incredibly flat and lacks movement. He can also throw a slider but it’s a well below-average offering. There’s a bit of a medical risk here, as well. I’ve been told that Magnifico had screws inserted in his elbow during his days in junior college. It should be interesting to see how he copes with that in the near future. 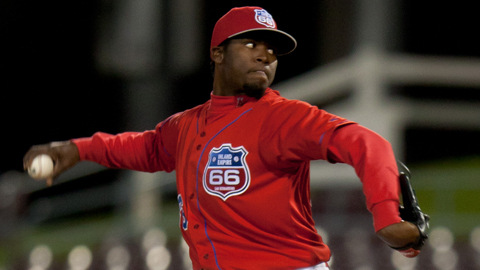 Still only 21 years old, Magnifico should have enough time to develop his secondary pitches in the minors. You can’t teach velocity like Magnifico’s, so he should have a chance at a relief opportunity at the big league level. I like this pick. 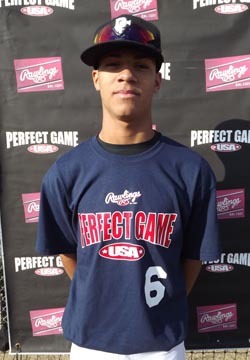 Overview: An Alabama State commit, Ortega came into the 2012 Draft having been one of the more underrated international prep infielders, though I’m not too sure why. He has tremendous natural range defensively and should already be considered a plus-defender at this juncture. Ortega has a ways to come as a hitter, especially with respect to his power. However, his youthfulness portends that he could still bulk up a bit and tap into his power potential. Either way, this is a good pick as Brewers were extremely thin on shortstops down on the farm. 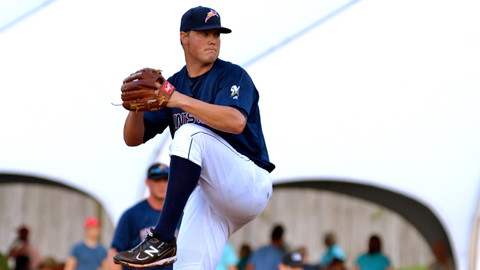 7.245: David Otterman, LHP, British Columbia University – The Brewers have had much success in drafting players north of the boarder, and Otterman could be another steal. 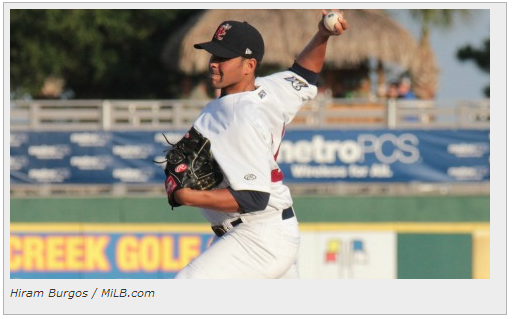 His 6’3″, 215 pound frame portends he could be a power-type lefty out of the bullpen. 8.275: Edgardo Rivera, CF, Adolfina Irizarry De Puig HS – Though still very raw and a bit undersized, Rivera has deadly speed that he applies on the bases and in the field. Once he develops his hitting, his ceiling will be tremendously high. 9.305: Alejandro Lavandero, RHP, Belen Jesuit High School – The 6’3″, 180-pound Miami native has a prototype build to him that scouts like. His delivery will need some cleaning up and refinement of his pitches will be key. 10.335: Anthony Banda, LHP, San Jacinto College North (Tx.) – The young southpaw has grown into his current 6’3″, 175 pound frame noticeably in each of the past two years. If he continues, who knows how high his ceiling could be. 11.365: James Gainey, RHP, United States Naval Academy (Md.) 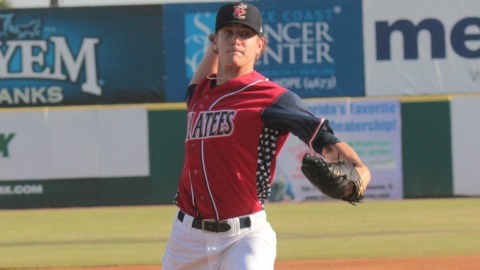 – Gainey works over the top through a very smooth delivery on the bump. Doesn’t throw enough of his body into his pitches yet, so I think there’s some projectability to his fastball. 12.395: Eric Semmelhack, RHP, University of Wisconsin-Milwaukee – A Wisconsin native, Semmelhack has a very nice pitcher’s build at 6’5″, 230 comparable to current Brewers prospect Jimmy Nelson. 13.425: Alan Sharkey, 1B, Coral Springs HS (Fl.) – The slightly undersized first baseman managed a .435/.562/.710 slash line as a high school senior in the highly competitive Florida prep ranks. 14.455: Ryan Gibbard, RHP, Lynn University (Fl.) 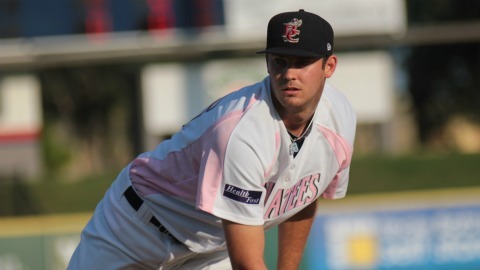 – A power-pitcher’s body at 6’2″, 205, Gibbard works slowly and uses an almost effortless motion on the mound. His fastball has some projection, currently topping out in the low 90s. 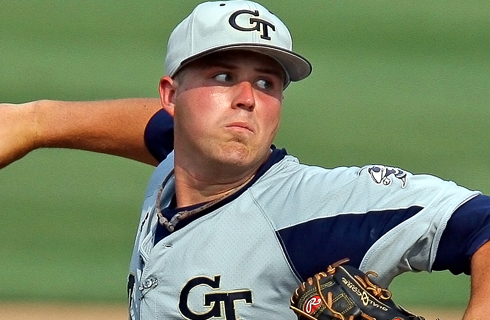 15.485: Buck Farmer, RHP, Georgia Tech – The 6’4″, 220-pounder has done a magnificent job for the Yellowjackets this season and was at one point projected to be a second round pick. An absolute steal for Melvin and company. 17.545: Alfredo Rodriguez, SS, Maryland – A four-year starter for the Terps, Rodriguez has blazing speed that undoubtedly grades out as plus right now. He doesn’t have much power, but he’s shown to be a gap-type power to all fields. A nice pickup here in the late goings of the draft. 18.575: Hunter Adkins, RHP, Middle Tennessee State – The 6’3″, 175 pounder has struggled to command his pitches during his collegiate stay. He has the frame to succeed at the big league level but has a long ways to go with respect to his pitches. 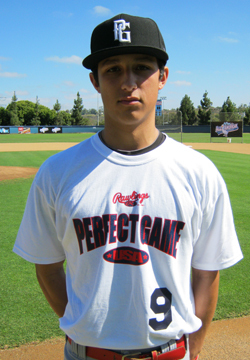 19.605: Carlos Garmendia, 3B, Monsignor Edward Pace HS (Fl.) 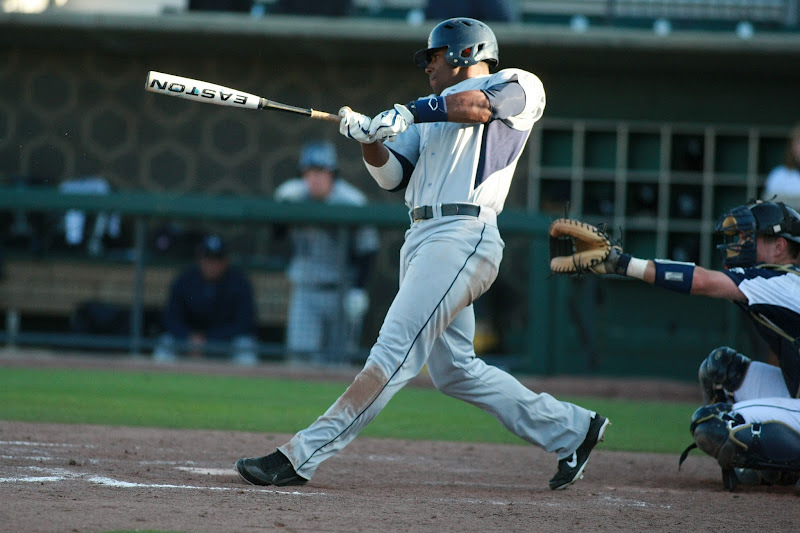 – Athletic and strong at 6’2″, 195, Garmendia has a pretty well rounded approach at the plate. He has strong hands and a swing with little wasted movement. Will need some time to refine his defensive mechanics but a solid pick here overall. 20.635: Michael Garza, SS, Georgetown – Garza, a two-year contributor for the Hoyas, put up an impressive .393/.433/.616 line in 53 games this season. Has some speed to his game, average power at the moment with room to grow in that area. 22.695: Taylor Wall, LHP, Rice – Working primarly as a reliever for Rice this season, Wall posted a 3.02 ERA with a 1.21 WHIP in 28 appearances. He won’t strike out a lot of guys but he knows how to work around batters with plus control of his pitches. 25.785: Lance Roenicke, LF, UC Santa Barbara – Most of Roenicke’s playing time in college came this season, and he didn’t disappoint. Harboring a .822 OPS and extra-base hit rate of 35.4% in 210 at-bats, his power grades out as average right now but there’s room for growth without question. 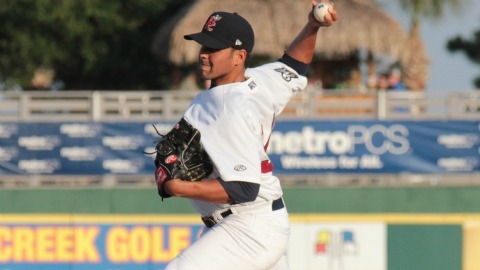 28.875: Martin Viramontes, RHP, USC – A five-year college pitcher, the 6’5″, 225-pound Viramontes doens’t possess any eye-opening tool. He knows how to strike guys out but by that same token also struggles with walks. Tough to distinguish how the Brewers plan to move him through the system. 31.965: Brent Suter, LHP, Harvard – A power-type frame at 6’4″, 200 pounds, Suter was used as a starter in college, and he performed well. He’s shown to command his pitches and that he has the stuff to strikeout a few batters. However, he leaves the ball over the plate too much and consequently gives up the long ball on a far too often basis. 33.325: Austin Hall, RHP, Brigham Young – It’s interesting that he’s listed as a pitcher, as he’s logged just one innings of college ball during his stay at BYU while performing pretty well as a left-side infielder. His best tool right now is clearly his speed. 38.1175: Christopher Shaw, C, Holy Trinity Academy – Another round, another catcher for the Brewers. Shaw has an average arm from behind the plate and has a pretty good bat to complement it. Extremely quick hands and a nice level swing at the plate to all fields.